I had originally intended to post each story as a separate post/re-blog with maybe a 'My Take' to introduce the storyline. 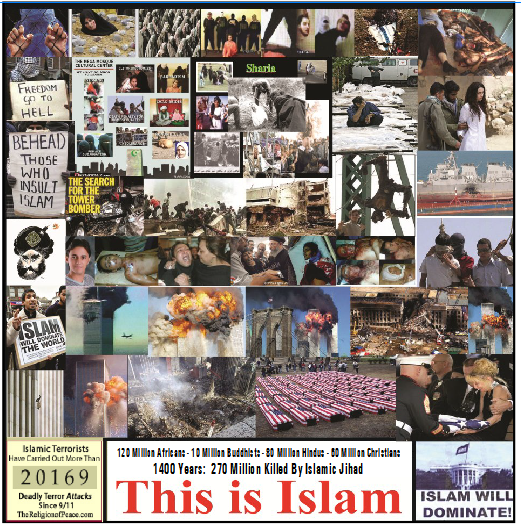 But there are just so many stories of Islamic Butchery, Hypocrisy, and on and on everyday all over the world. So here we will list the story headline with a link to the original post. Also I will continue to post or re-blog those stories that are extra-ordinary and the full post will be filed under the 'This is Islam' category with the headline only appearing on this page. 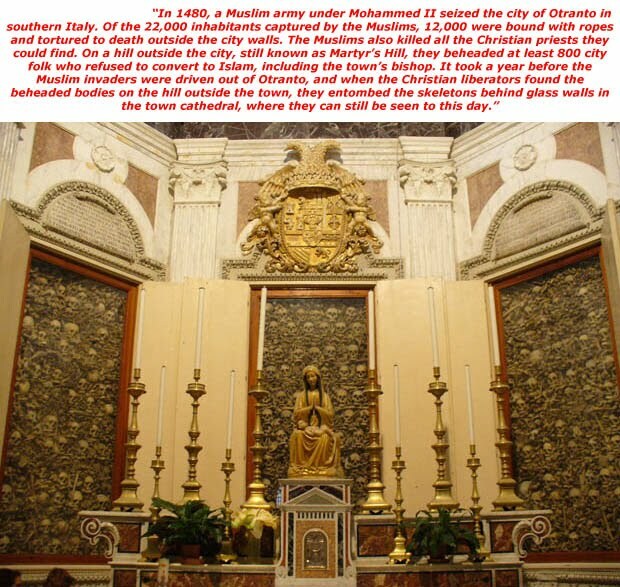 A brief study of the following picture will illustrate why it's time to place Islam on the scrap pile of history along with Communism, Fascism, Nazism and Cannibalism. "The mosques are our barracks, the domes our helmets, the minarets our bayonets and Muslims our soldiers…” – The Prime Minister of Turkey, Recep Tayyip Erdogan. 3/15/2002: Saudi police 'stopped' fire rescue – policemen "beating young girls to prevent them from leaving the school because they were not wearing the abaya". 10/11/2010: Muslim Sons Arrested in Brutal Murder of their Mom "Bloodbath": Isn't This An Honor Killing? 10/31/2010: Baghdad church attack: Jihadists "came into the prayer hall and immediately killed the priest"
11/9/2010: Pakistan: Christian woman sentenced to death for "blasphemy"
11/11/2010: UK: Muslim protestors disrupt Armistice Day commemoration: "British soldiers burn in hell," "Islam will dominate"
11/22/2010: Sweden: Wife of suicide bomber says "What he has done is right. I'm proud of him"
12/08/2010: Hamas: Allah, kill Christians and Jews "to the last one"
12/25/2010: "Your [Christmas] fireworks will act as an alarm for the time of our devices to blow up — devices that we, not Santa Claus, are going to offer to you as gifts, to turn your night into day and your blood into rivers"
1/18/2011: "Somali Mother of Four Slaughtered for her Faith,"
1/25/2011: Hamas imam: "Please, Allah, kill all the Jews"
2/21/2011: Muslims slash teacher's face and fracture his skull "for teaching other religions to Muslim girls"
2/24/2011: Egypt: Coptic priest stabbed to death in his home by masked attackers shouting "Allahu akbar"
4/11/2011: Brazil school shooter: "Four hours every day I spend reading the Koran"
4/12/2011: Muslim father slits daughter's throat 28 times to "uphold family honor"
4/13/2011: 1,000 Muslims attack Christian village: "Almost every home in the village was destroyed, and some elderly people were reported to have been burnt to death in their homes"
5/30/2011: Muslim girl, 19, "stoned to death after taking taking part in beauty contest,"
6/5/2011: Palestinian Accused of Brutally Stabbing Israeli Family: I don't regret what I did, and would do it again. 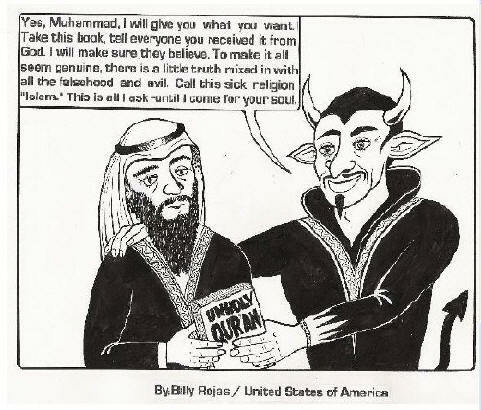 6/15/2011: Palestinian Authority Cleric: "Jews Are A Virus Similar To AIDS"
8/26/2011: Christian convert tortured with boiling water: "Return to Islam or we kill you"
10/19/2011: US Muslim on Southwest flight: “You’re all going to die,” “You’re all going to hell. 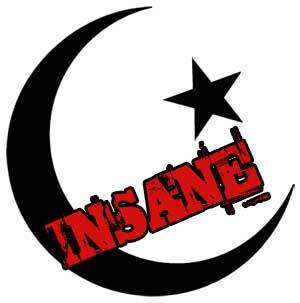 Allahu Akbar"
10/22/2011: Father accused in multiple honor killings says "Were they to come to life, I would do it again"
11/13/2011: Gaza jihadist prays to Allah: "You have made our killing of the Jews an act of worship, through which we come closer to you"
12/06/2011: U.K.: Gang of Muslim girls who savagely beat non-Muslim woman let off because "they weren't used to drinking because they're Muslims"
12/17/2011: Islamic scholar: "Saying Merry Christmas is worse than fornication or killing someone"
1/3/2012: Muslim Mobs Brutally Stab "Father Christmas" to Death While Screaming "You Infidel!" 1/14/2012: Child suicide bombers: "They told us the bombs would not kill us, only the Americans would die and you can come back to us"
3/10/2012: Ex-Muslim: "My mother wants me dead"
5/21/2012: "A fatwa was announced in a mosque on May 11, stating that any woman using a cell phone will have acid thrown in her face"
6/17/2012: Muslim group in Egypt: "Eating tomatoes is forbidden because they are Christian"
7/8/2012: Taliban shoot woman 9 times, men cheer "Allahu Akbar!" 11/19/2012: Hamas to Israelis: "We've missed the suicide attacks. Expect us soon at bus stations and in cafés"
11/21/2012: Hamas TV after Tel Aviv bus bomb: "Allah willing, we will soon see black body bags"
12/2/2012: Syria's civil war a cover for killing Christians? 12/29/2012: Sharia amputations in Mali: "This is in the Koran. That’s why we do it." 3/03/2013: Muslims murder 13 Christian factory workers "in gruesome manner"
4/1/2013: Jihadists Behead Cleric, parade body and "laid his head on a minaret"
7/14/2013: Muslim leader says he fully supports school massacre, says "Western education schools" are "plot against Islam"
7/14/2013: "Muslim fundamentalists are killing our priests, kidnapping our women and burning our churches."